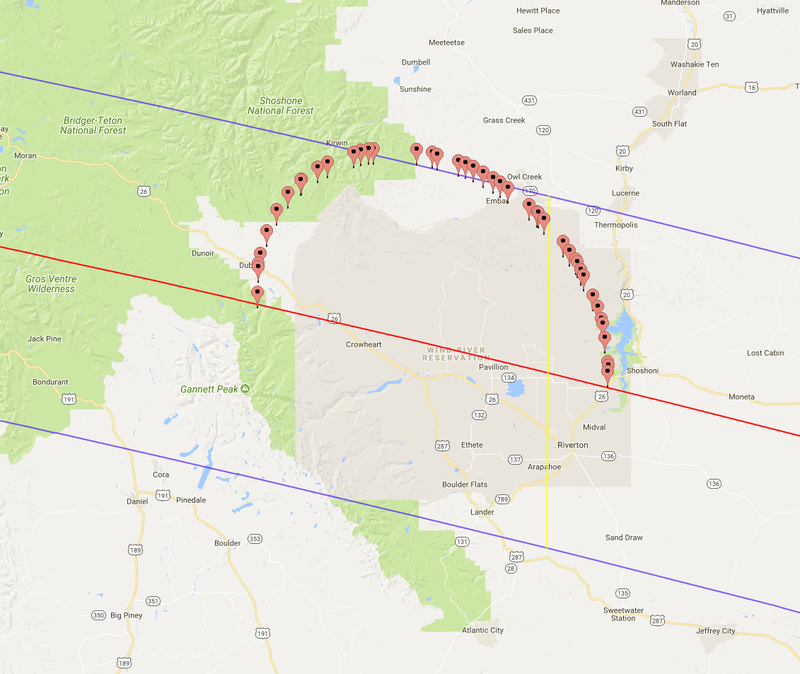 This article presents how to vizualise the total solar eclipse on the most renowned geographical tool, the Google Earth. The ways of use the Google Earth are various. To learn more about it you can check my previous article where I listed examples of using this amazing software. 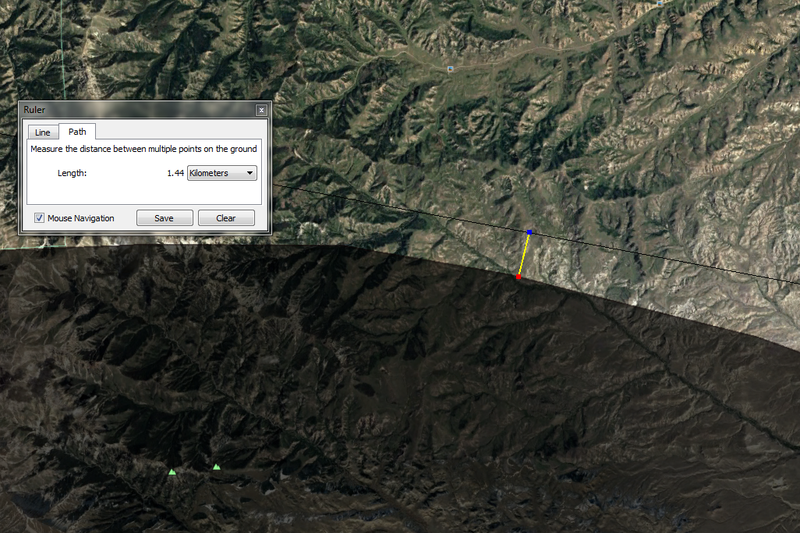 Previously I used Google Earth to generate the flood simulation. 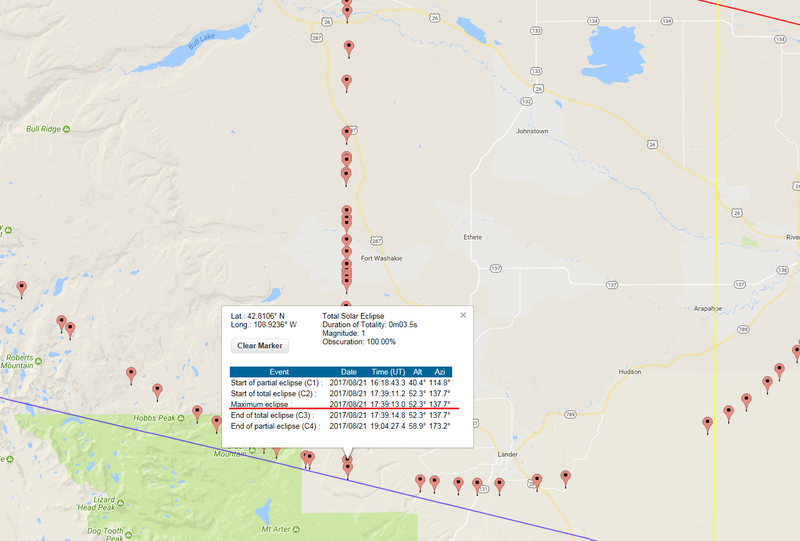 Foregoing option to imagine the total solar eclipse in the Google Earth are .kmz files for solar eclipses since 1960 to 2099 provided for public by Xavier Jubier. Those files will draw the solar eclipses paths and limits across the Earth’s surface. Every solar eclipse path contains the umbral northern and southern limit of solar eclipse (plotted in black) and central line (plotted with blue). All files has been synchronized with the ‘Five Millennium Canon of Solar Eclipses’ tool. 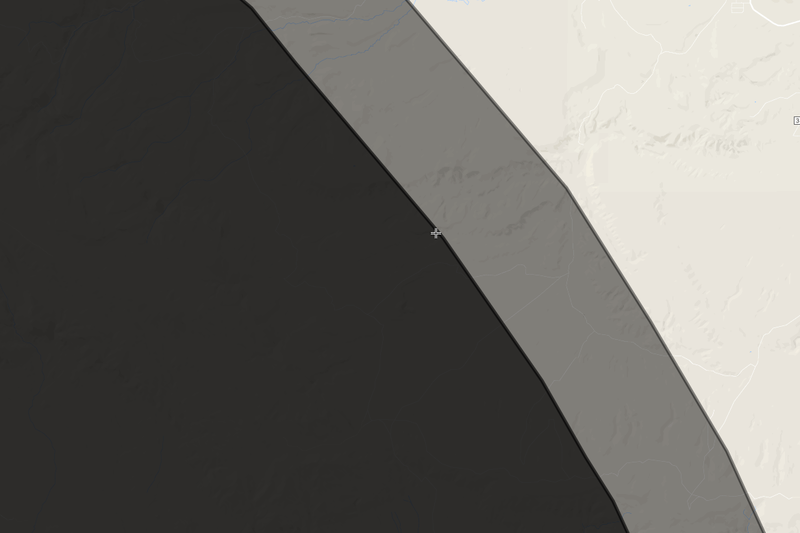 Those .kmz files doesn’t show you the Moon’s shadow movement. To see how would total solar eclipse occur in your area you need to refer to animations attached on the YouTube. Usually you are able to find many shadow movement movies about forthcoming solar eclipse. At this moment there are many visual stuff about TSE 2017. See the examples here on the Eclipse 2017 main page. All animations are based mainly on Michael Zeiler’s eclipse maps. On his main website you can see probably the best prepared eclipse maps in the World. 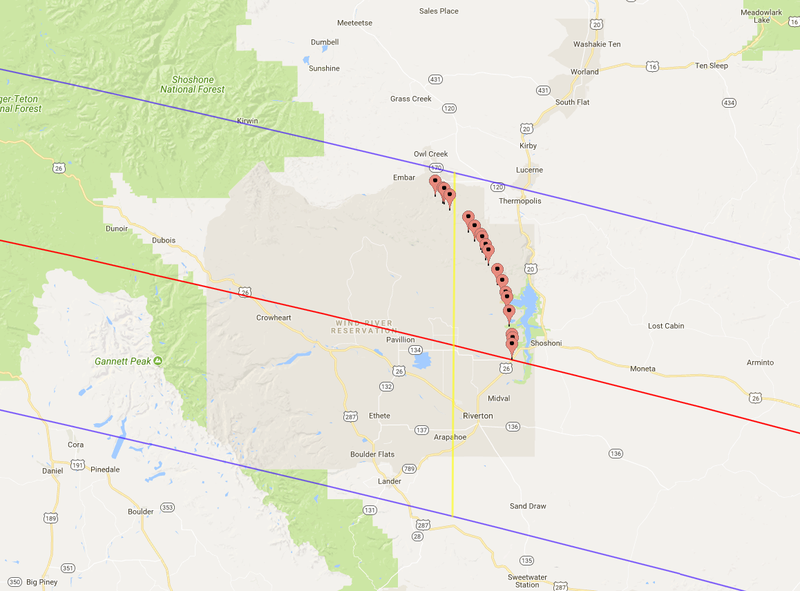 Besides the eclipse-maps.com will tell you the story how the eclipse maps has been developed since 17th century to the present day. 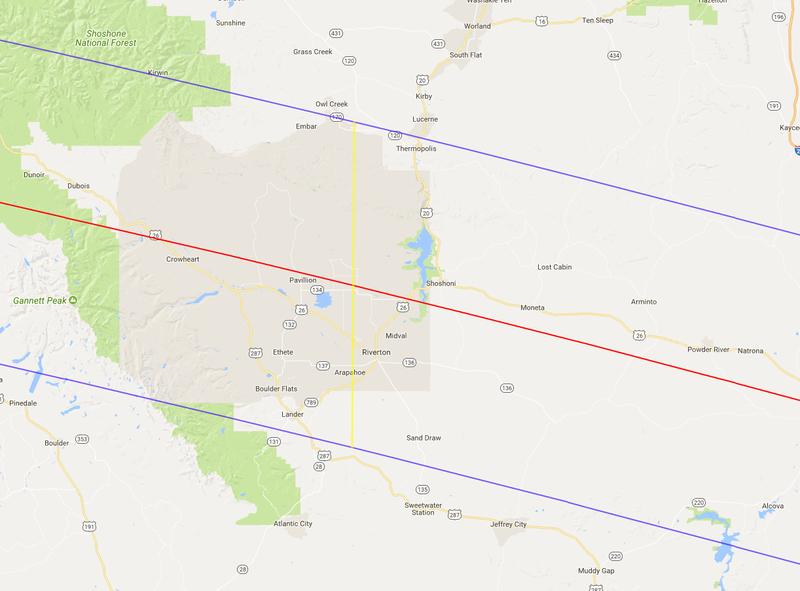 However for you the most interesting thing probably will be gallery for the most up-to-date eclipse maps. 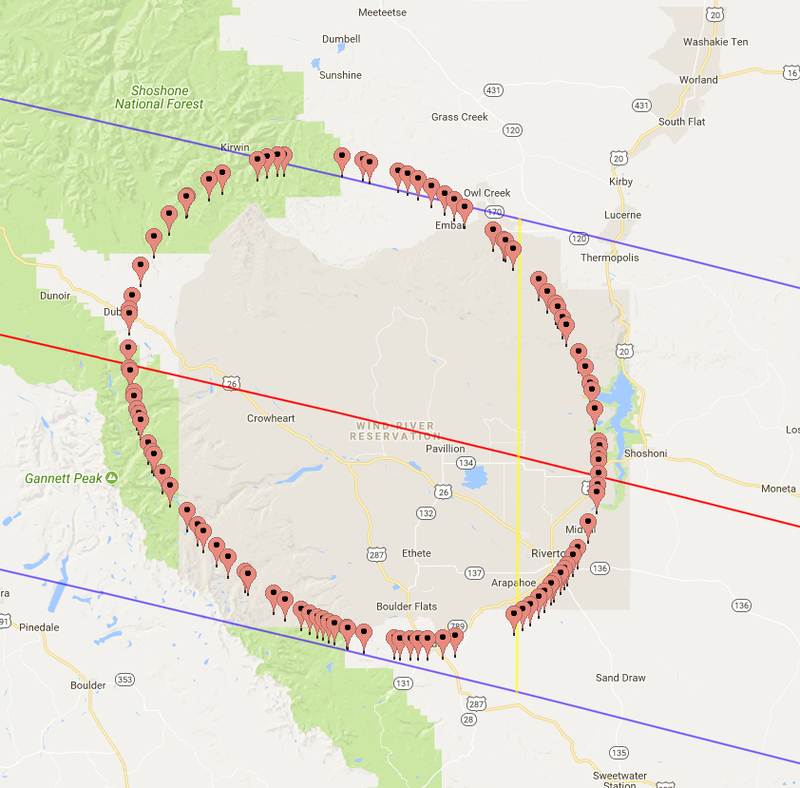 There are several hundred eclipse maps that are being developed with GIS software applied to millions of eclipse calculations. 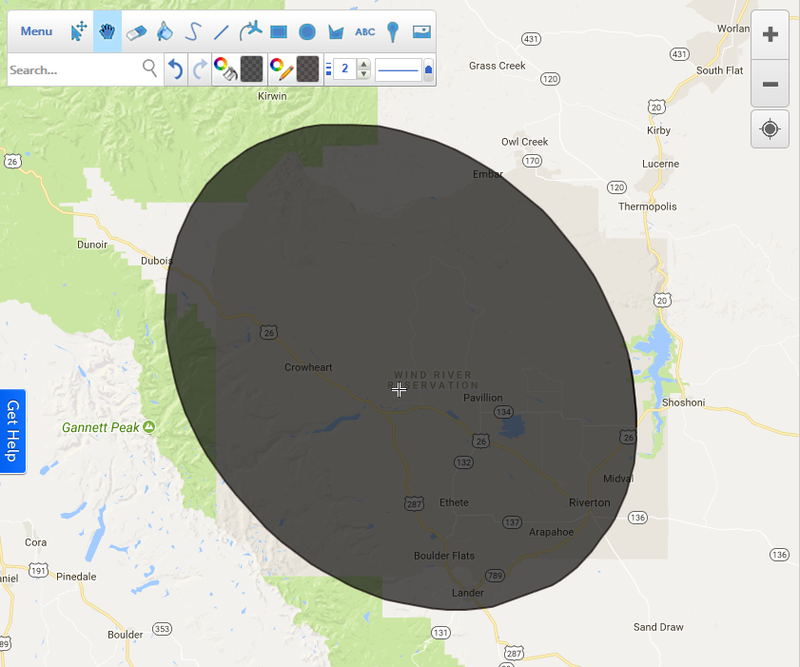 Both eclipse.gfsc.nasa.gov and Xavier Jubier maps feature the ‘dynamic local circumstances predictions at the click’s location’ that is available with interactive Google Maps. 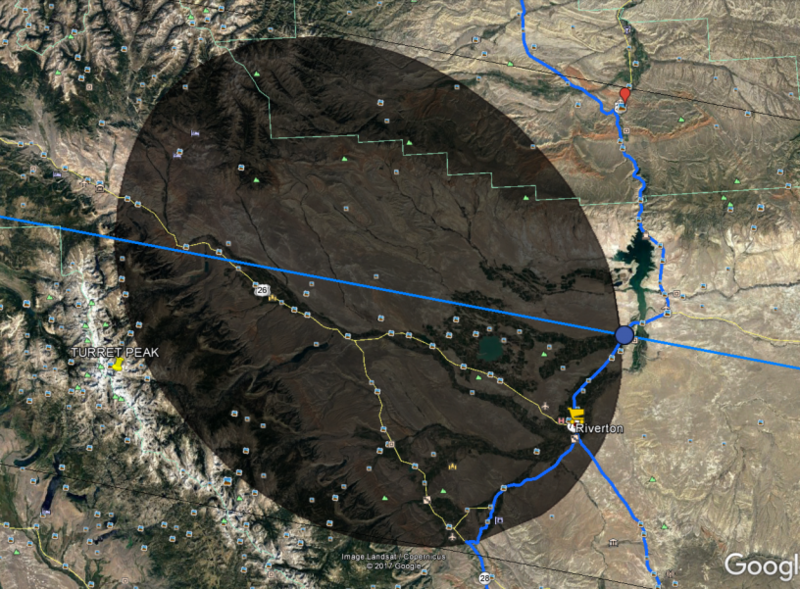 That is why using Google Maps is a keynote to develop the total solar eclipse vizualisation for the Google Earth client. I prepared my own way to create the total solar eclipse animation, which I would like to show in this two-piece article. 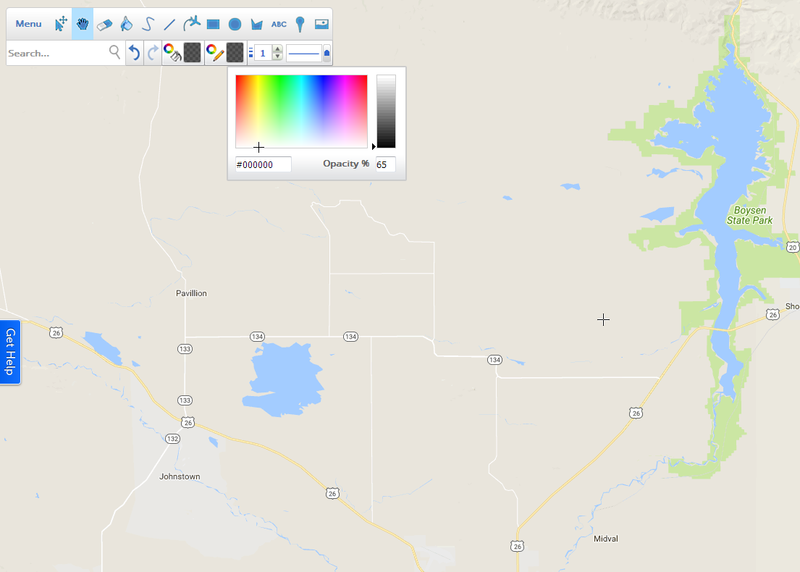 I would like to explain you how to create this vizualisation on the 2017 eclipse example in Wyoming, USA as I did for my purpose. 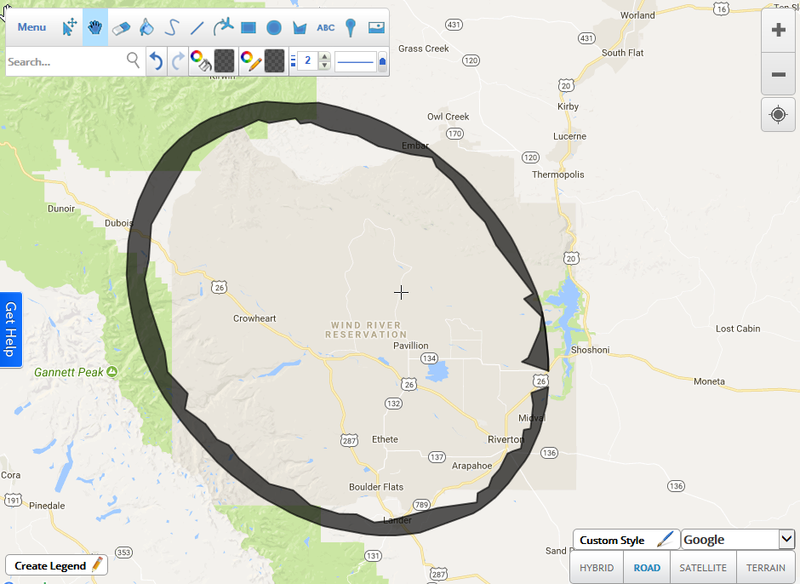 For the initial work you will need to be opened: eclipse.gfsc.nasa.gov with virtual path of totality centered on your area (Wyoming in this case) (pic. 1) and Scribble Maps with new map created (pic. 2). Pic. 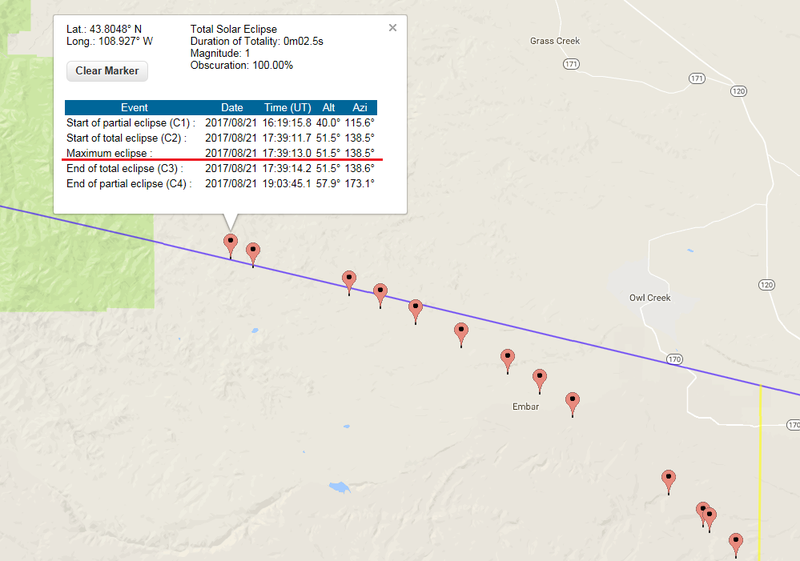 1 Eclipse.gfsc.asa.gov interactive map fragment shows the path of totality in central Wyoming. Pic. 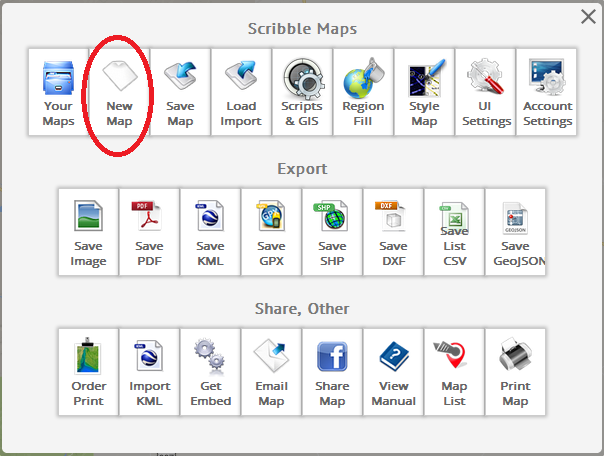 2 A ‘New Map’ button location on the main Scribble Maps interface (Scribblemaps.com). 2. Click somewhere in the centerline to receive popped-up window with eclipse circumstances. 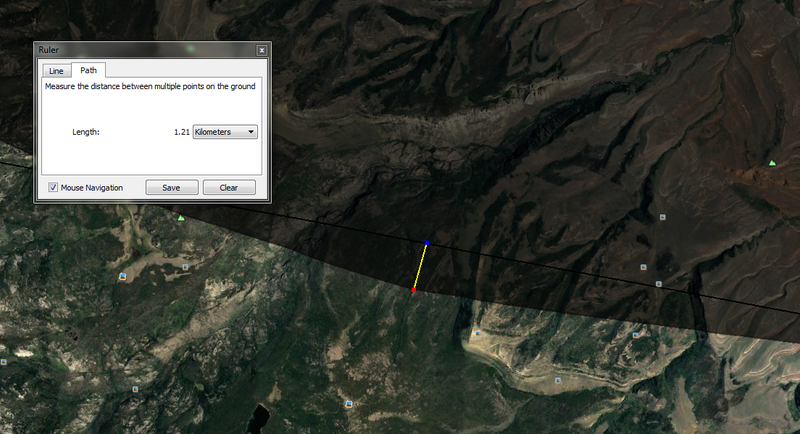 Select correctly the location when you know the coordinates of the place your observation. On your label displayed you have the basic solar eclipse circumstances (contacts): C1-4 with rough time (UT), altitude and azimuth. As long as you not consideration Moon’s shadow moving across the sky you will not need last 2 elements. For the first you should take into account the time of 2nd contact, which will set the TSE beginning from your location (pic 3.). When you will encounter a half of the umbra, then refer to 3rd contact (and mid-eclipse when touching the path edge). See about it later. Pic. 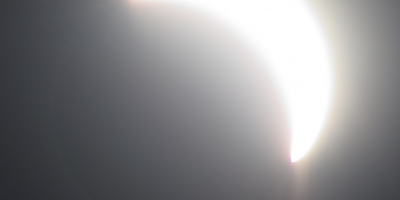 3 Focus on the 2nd contact (or 3rd if you want) at the beginning when preparing the eclipse vizualisation. 3. Try to find the location with exactly the same moment of time for 2nd (or 3rd) contact (pic. 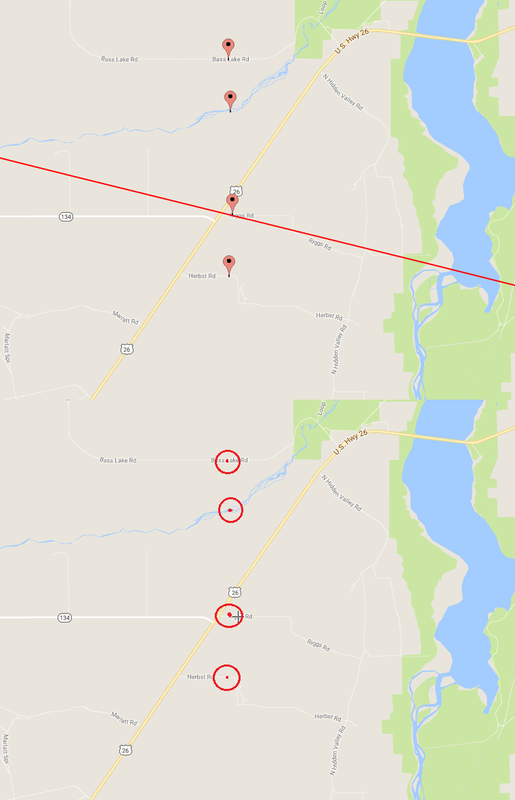 4 – 11) carrying on this painstaking job until you receive a umbra-looking shape on your Interactive Google Maps with eclipse circumstances. Your last point marked should be simultaneously a first point and close up newly created shape. Pic. 4 Carry on keeping the same time value for 2nd contact. Pic. 5 Focus on the ‘Maximum eclipse’ when touching the edge of the totality path. Pic. 6 When you cross the place where time of your phase touching the edge of totality (pic. 5) focus on the 3rd contact. Place your markers on recognizable spots e.g river or road bends, lake shores, etc. Pic. 8 Repeat the task when touch the edge of the path of totality again. Pic. 9 When you cross the edge of the path of totality focus on the moment of 2nd contact again. Pic. 10 There you go! Now you have traced whole umbra. 4. 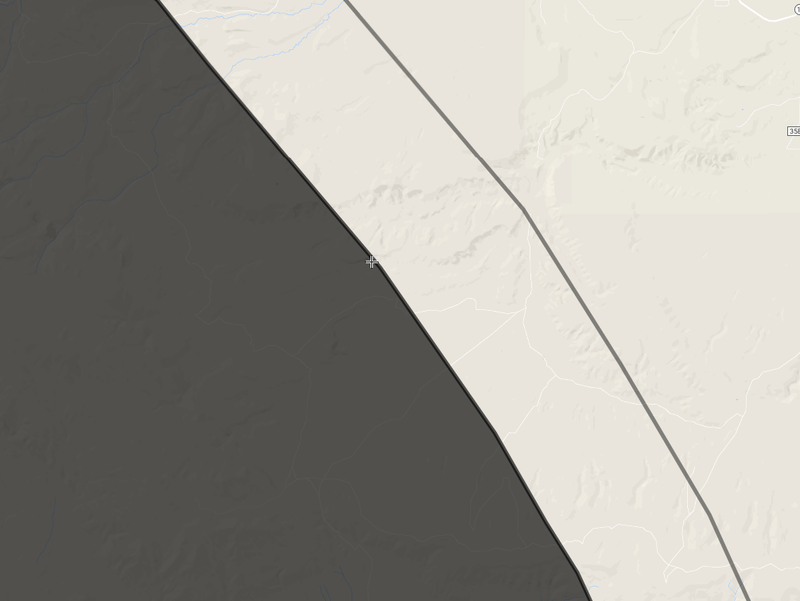 Go to the Scribble Maps and click the ‘draw a polygon’ from the top bar. Remember also about the color adjustment, which you will find in bottom line of your toolbar (Pic. 11). You need to adjust both lines and fills. 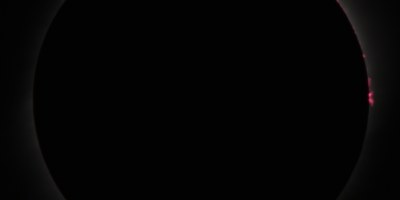 Make it dark grey to resemble a real TSE on-the-ground reality (Pic. 12). The line thickness is not really needed, although you can make it as thin as possible setting value “1” (Pic. 13). Pic. 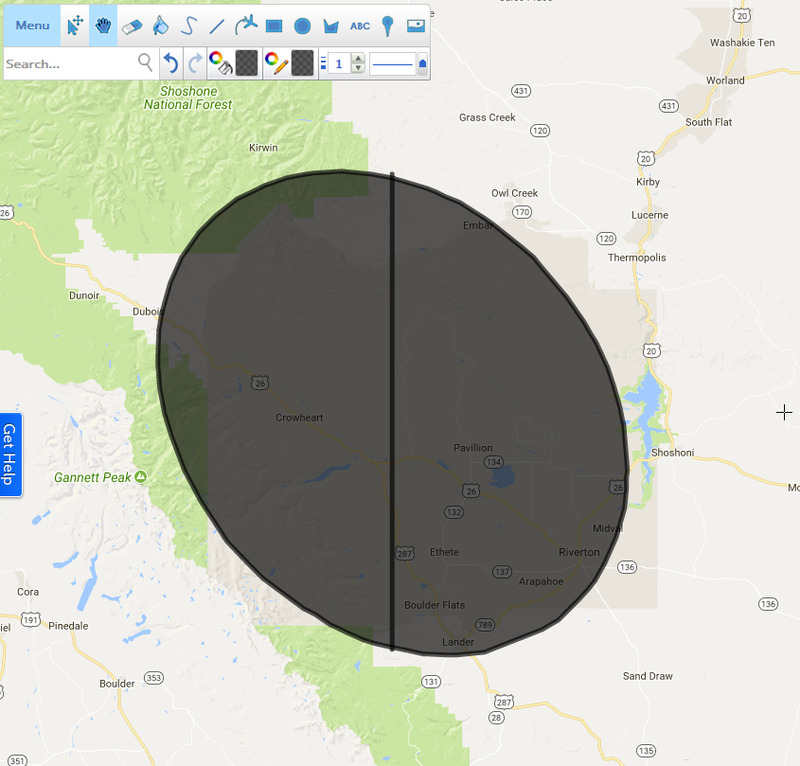 11 The ‘Draw a polygon’ option in Scribble Maps. Pic. 12 Select the color both the fills and the border lines, appropriate to the umbra conditions – black or dark grey with high opacity (60% or more). Pic. 13 Make sure, that your line thickness is “1”. You don’t need higher values. 5. 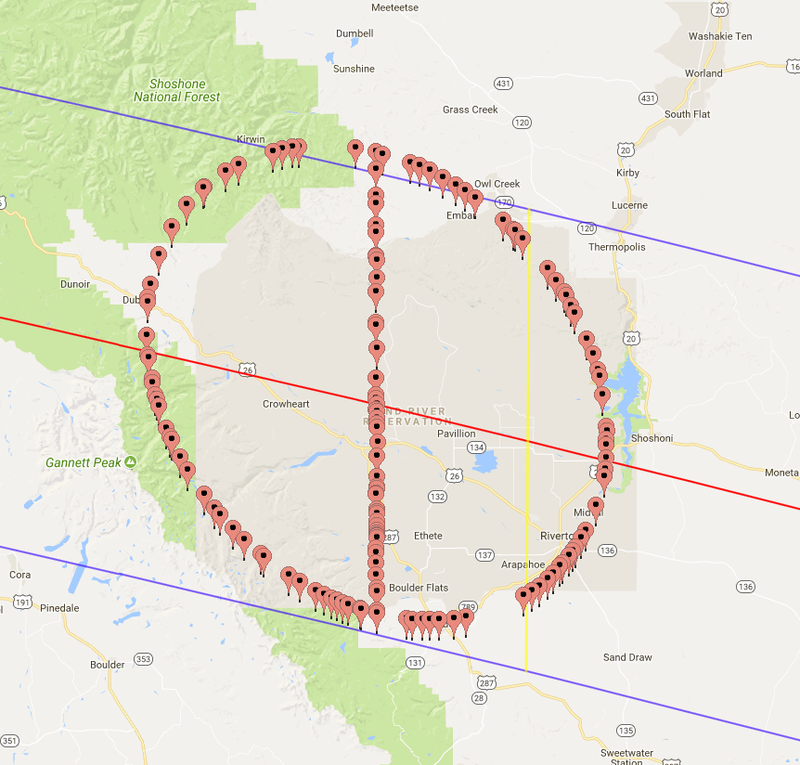 Make your interactive Scribble Map in exactly the same position and zoom level as map used in the Eclipse.gfsc.nasa.gov portal (pic. 14). Try to find some clear and prominent points on your both maps (pic. 14). Pic. 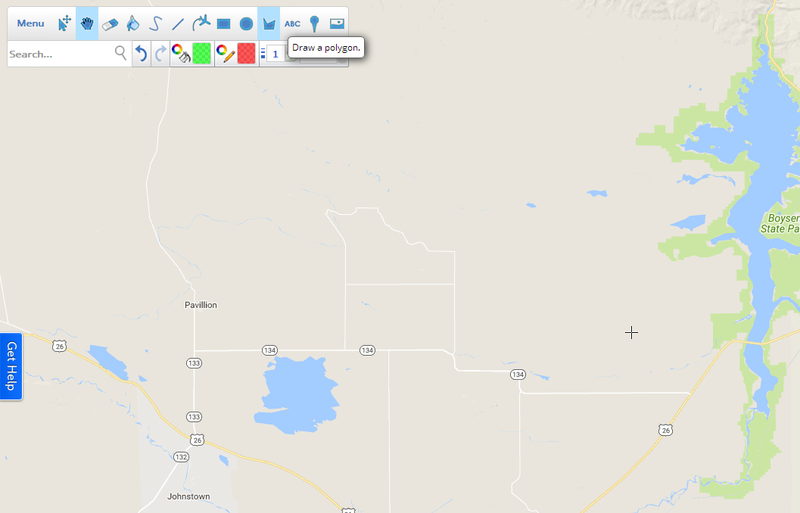 14 The NASA interactive map with markers placed (above) and Interactive map in Scribble Map with places, where polygod border should be placed (below). Both maps in the same scale. 6. Following marked points with the same time for 2nd or 3rd contact draw a umbra-looking shape on your map (pic. 16). Pic. 15 Umbra-looking shape borders almost ready, drawn in Scribble Maps. Pic. 16 A ready umbra-looking shape drawn in Scribble Maps. 7. 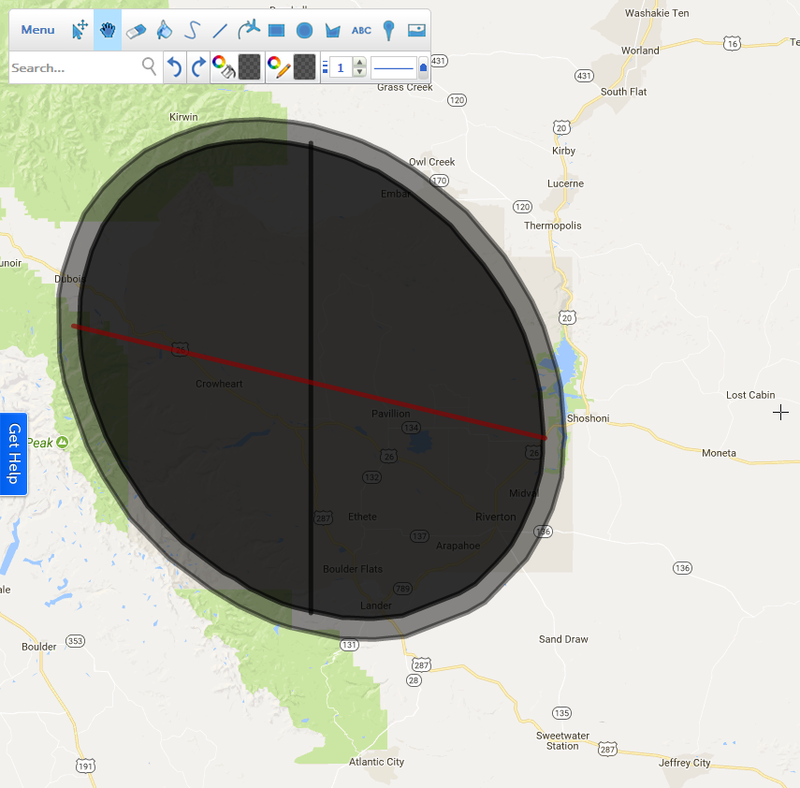 Back to your shape mapped on Eclipse.gfsc.nasa.gov interactive map. You need to find southern or northern limit of your umbra shape. Next pay attention for time of ‘Maximum eclipse’ (pic. 5, 8, 17) and follow this time exactly to opposite northern or southern limit of your shape. In this way you will create the subperpendicular line of the mid-eclipse inside the umbra (pic. 18). Next create the line in Scribble Map and trace it exactly the same way. Pic. 17 Following the ‘Maximum eclipse’ time value you can trace the mid-eclipse moment for your umbra shape. Pic. 18. Your traced umbra with the mid-eclipse line is ready. Pic. 19 Your umbra-looking shape with the mid-eclipse line in Scribble Maps. 8. Create the centerline also. It should be easier, because it is already drowned on the interactive map. Pic. 20 Your ready umbra-looking shape with the mid-eclipse and centerline. 9. You can add up if you want (at least I did like this) next umbra-looking shadow with borders extended e.g 5 km outside in every direction. Then you will able to simulate the grazing zones also. Xavier Jubier gave a few examples of grazing zones e.g for TSE 2008. The distance between grazing zone limit and umbra limit is not higher than 10 km. In this case the main role plays level of graze (which will be higher as we are close to umbra limit) and lunar limb profile. If you pay strong attention to details you also can take into account the terrain declivity in local area when it’s mountainous. Basically the newly created grazing zone shape should be sent to the bottom (possibly you may have this option in Scribble Maps . I haven’t because I use free version). Pic. 21 The grazing zone border around 5 km from the umbra edge. Pic. 22 The grazing zone border around 5 km from th umbra edge filled up. Pic. 23 A full umbra-looking shape with grazing zones made in Scribble Maps. 10. Now you have a first local circumstance ready! 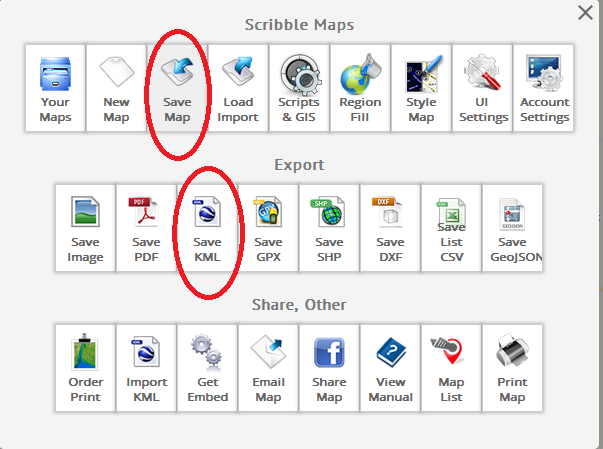 Save your map in Scribble Maps then and click ‘Export KML file’ (pic. 24). Pic. 24 First save your map. When you have anonymous profile remember to put a password, map name and map ID and copy the WORKING LINK of your map to easy open it again. 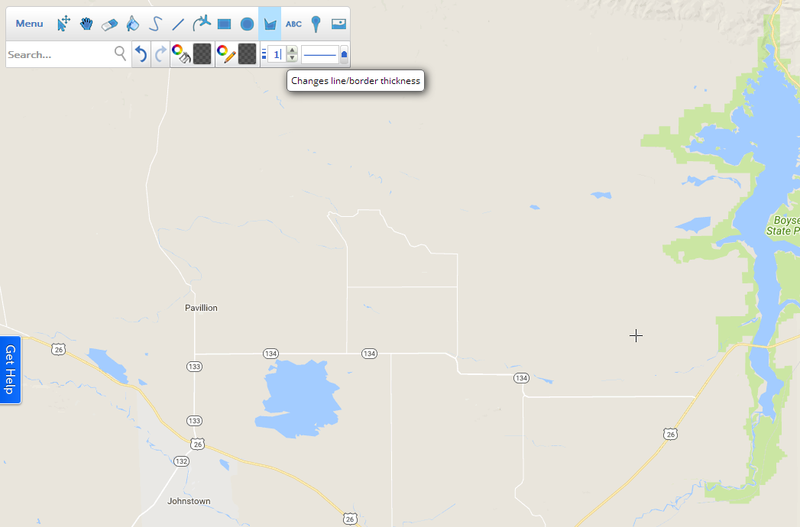 Next save your map as a .KML file which enable you to see your work in the Google Earth software. I advise you to name it as a local circumstance time e.g 11h39m13s UTC. 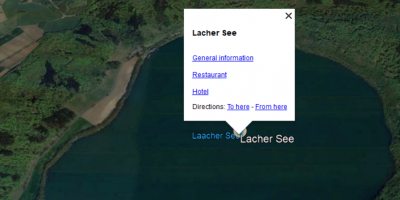 Now your file is ready to use in the Google Earth software! 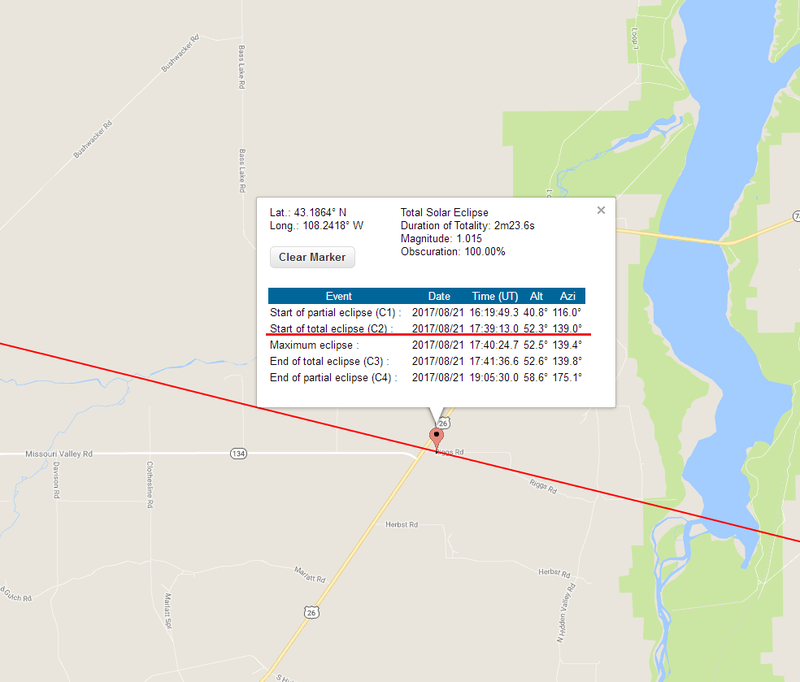 So far so good, although when you previously downloaded the eclipse path .kmz file from Xavier Jubier’s website you will see the difference of shadow location. This difference in my opinion (as a meticulous person) is quite big. The centerline and both umbra limits seems to be moved around 1,3 km south (pic. 25 – 28). Pic. 25, 26 A inconsistency between the Xavier Jubier’s .kmz eclipse path (red arrows) and eclipse.gfsc.nasa.gov interactive map causes that the umbra based on the NASA interactive map is to be moved south (green arrows). Pic. 27, 28 A inconsistency between Xavier Jubier’s .kmz eclipse path and eclipse.gfsc.nasa.gov interactive map details. The umbra based on the NASA interactive map is to be moved around 1.3 km south with regard to Xavier Jubier’s .kmz eclipse path. I don’t know where the problem is to be honest. Possibly the problem lies in the limit of data accuracy by the departure of the Moons limb from a perfectly circular figure. Another reason lies in current eclipse prediction accuracy. The Jet Propulsion Laboratory is able to calculate the Sun and Moon’s position with errors of less than 0.1 arc-second. This enables astronomers to predict the path of solar eclipses across the earth with a positional accuracy of 400 m or better (0,2 sec. of accuracy in case of contact times and duration) Unfortunately there must be something else! 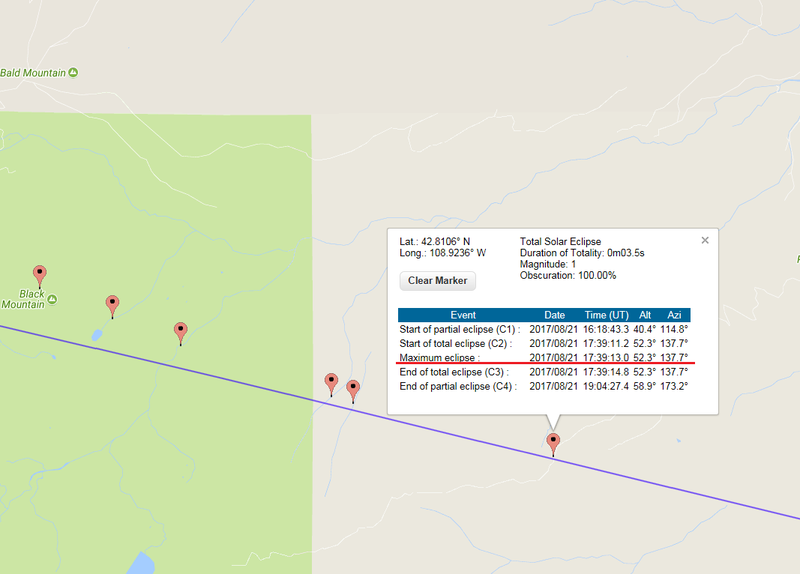 Because the inconsistency between NASA interactive eclipse map and Xavier Jubiercounts around 1.3 km (pic. 27, 28). Probably this is a Moon’s surface topography. If we know that 1 arc second equals 1863 m at the Moon’s mean distance of 384400 km the highest features of Moon’s limb depart from a perfectly spherical Moon by about 3 arc-seconds. 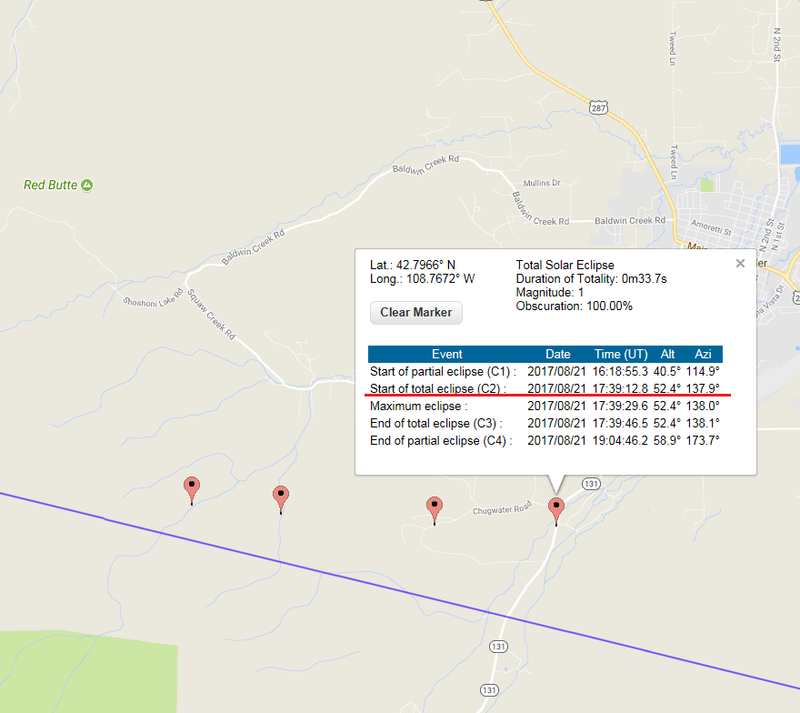 However the aforementioned inconsistency shows that path of totality made by NASA seems to be moved around 2 km southward. The primary impact of the lunar limb profile is to introduce uncertainties of several seconds into the exact eclipse contact times and the duration of totality of annularity. We should also know, that centerline doesn’t show us a rough umbra diameter! It depends of the latitude and Sun’s height during the eclipse moment. For sake of simplification I adjusted my newly created umbra shape to Xavier Jubier’s eclipse .kmz map moving whole object gradually down to plunge it within a rough path of totality. Pic. 29 The Umbra with grazing zones ready to use. 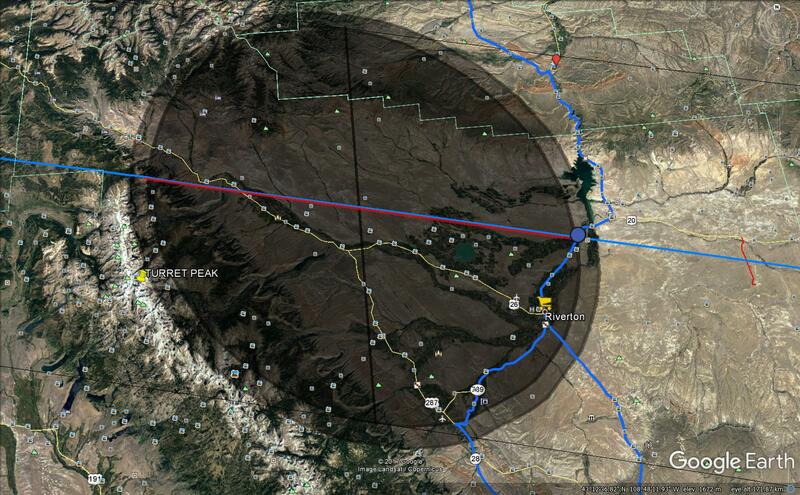 Total solar eclipse circumstance for 11:39:13 UTC, central Wyoming, USA. Now you can enjoy your umbra for local circumstances! This Moon’s shadow is showing you how your terrain would be like during the 2nd contact! To vizualise it more efficient you can zoom in and make your view more oblique. When your place of observation is to be in mountainous or rolling area the Google Earth 3D view enable you to see adjacent mountains also. Some of them won’t be plunged in the shadow so they will appear as a much brighter objects far up on the horizon. Pic. 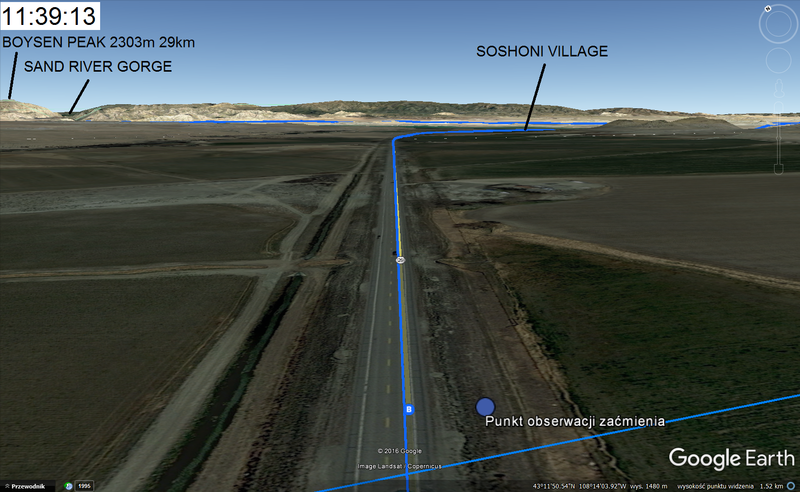 30 A moment of 2nd contact at 11:39:13 UTC with view towards Soshoni village with Owl Creek Mountains beyond seen in Google Earth just above the ground view. 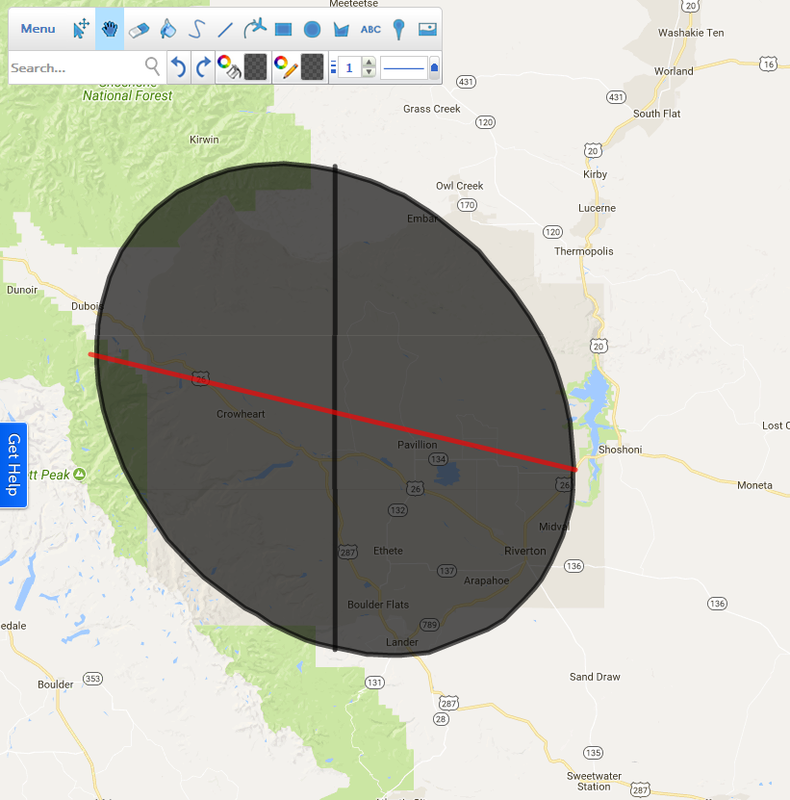 Next article, which is arleady in production will show you how to manage the umbra-looking shape in Scribble Maps and Google Earth to make the total solar eclipse animation.